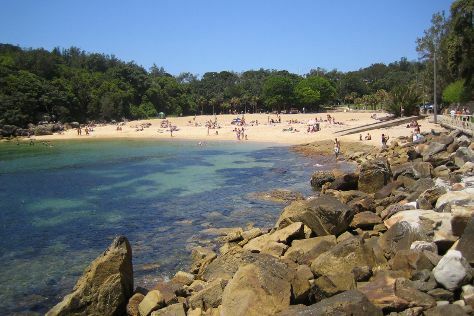 We've included these beaches for you: Palm Beach and Terrigal Beach. Eschew the tourist crowds and head to North Head Sanctuary and Bronte Beach. Explore Sydney's surroundings by going to Shelly Beach (in Manly), Bouddi National Park (in Killcare) and Whale Beach (in Whale Beach). Dedicate the 18th (Thu) to wine at some of the top wineries in the area. And it doesn't end there: contemplate in the serene atmosphere at Nan Tien Temple, take a memorable tour with Tours, take some stellar pictures from Clarkes Point Reserve, and look for gifts at Bridget Kennedy Project Space. The Route module shows you all the different ways you can get to Sydney. In July, daytime highs in Sydney are 21°C, while nighttime lows are 9°C. Cap off your sightseeing on the 18th (Thu) early enough to travel to Hobart. Kick off your visit on the 19th (Fri): kick back and relax at Seven Mile Beach and then savor the flavors at Food & Drink. To see where to stay, traveler tips, maps, and other tourist information, use the Hobart day trip tool . Traveling by flight from Sydney to Hobart takes 4.5 hours. Alternatively, you can do a combination of train, ferry, and bus; or do a combination of bus and ferry. Prepare for a bit cooler weather when traveling from Sydney in July: high temperatures in Hobart hover around 15°C and lows are around 4°C. Wrap up your sightseeing on the 20th (Sat) early enough to travel to Tullah. Tullah is a town in the northern part of the West Coast Range, on the west coast of Tasmania, about 111 km south of Burnie. 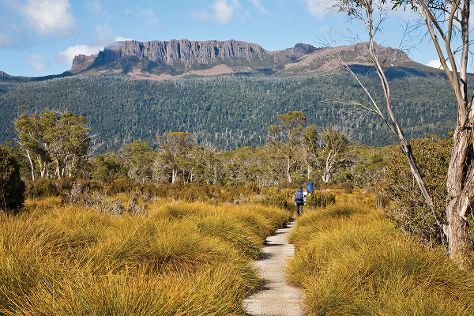 Eschew the tourist crowds and head to Marion's Lookout Walk and The Overland Track. You'll find plenty of places to visit near Tullah: Dove Lake Circuit (in Cradle Mountain-Lake St. Clair National Park) and Zeehan (Zeehan Rock Shop, Spray Tunnel, & more). There's still lots to do: take in the dramatic scenery at Montezuma Falls. For other places to visit, traveler tips, more things to do, and more tourist information, read our Tullah trip itinerary maker tool . You can drive from Hobart to Tullah in 4.5 hours. Wrap up your sightseeing on the 22nd (Mon) early enough to travel to Launceston. 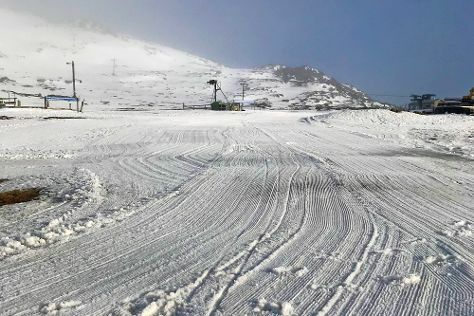 Start off your visit on the 23rd (Tue): fly down the slopes at Ben Lomond Ski Resort. Keep things going the next day: do a tasting at Tamar Ridge Cellar Door, stop by Goaty Hill Wines, then learn about winemaking at Holm Oak Vineyards, then learn about winemaking at Moores Hill Estate, and finally explore the galleries of Franklin House. To find out how to plan a trip to Launceston, use our trip itinerary maker. Traveling by car from Tullah to Launceston takes 2.5 hours. In July, plan for daily highs up to 13°C, and evening lows to 2°C. Finish up your sightseeing early on the 24th (Wed) so you can go by car to Bicheno. Bicheno is a town on the east coast of Tasmania, Australia, 185 km north-east of Hobart on the Tasman Highway, with a population of 853. Kick off your visit on the 25th (Thu): see the interesting displays at Bicheno's Motorcycle Museum & Restoration, do a tasting at Gala Estate Vineyard, then get great views at Whalers Lookout, then explore the galleries of Waubs Bay Gallery, and finally make a trip to Bicheno Blowhole. For reviews, maps, other places to visit, and more tourist information, refer to the Bicheno route planner . Traveling by car from Launceston to Bicheno takes 2.5 hours. Alternatively, you can do a combination of bus and taxi; or take a bus. In July, daytime highs in Bicheno are 13°C, while nighttime lows are 2°C. Wrap up your sightseeing on the 26th (Fri) early enough to drive to Hobart. Start off your visit on the 26th (Fri): contemplate in the serene atmosphere at St. David's Cathedral, take some stellar pictures from Shot Tower, then look for gifts at The Wicked Cheese Co., then learn about winemaking at Puddleduck Vineyard, and finally brush up on your knowledge of spirits at Lark Distillery. On the 27th (Sat), you'll have a packed day of sightseeing: surround yourself with nature on a nature and wildlife tour. To find maps, traveler tips, where to stay, and other tourist information, read our Hobart trip builder . Drive from Bicheno to Hobart in 2.5 hours. Alternatively, you can take a bus. Cap off your sightseeing on the 28th (Sun) early enough to travel to Sydney. Kick off your visit on the 28th (Sun): browse the fresh offerings at The Rocks Markets, then get some thrills on the water with a speed boat tour, then kick back and relax at Balmoral Beach, Mosman, and finally don't miss a visit to I Have a Dream Mural. Traveling by flight from Hobart to Sydney takes 4.5 hours. Alternatively, you can do a combination of bus, ferry, and train; or do a combination of bus and ferry. In July, Sydney is a bit warmer than Hobart - with highs of 21°C and lows of 9°C. Finish up your sightseeing early on the 29th (Mon) so you can go by car to Katoomba. Start off your visit on the 29th (Mon): appreciate the extensive heritage of The National Pass, then make a trip to Sublime Point Lookout, and then head outdoors with Evans Lookout. For traveler tips, ratings, photos, and other tourist information, you can read our Katoomba day trip planning tool . 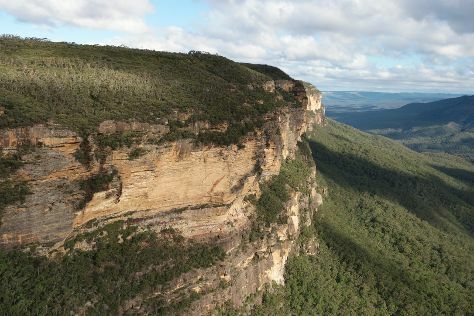 You can drive from Sydney to Katoomba in 1.5 hours. Another option is to take a train. Traveling from Sydney in July, plan for a bit cooler nights in Katoomba, with lows around 3°C. Wrap up your sightseeing on the 30th (Tue) early enough to drive to Pokolbin. Kick off your visit on the 30th (Tue): do a tasting at Tinklers Wines, then do a tasting at Hunter's Dream Estate, then learn about winemaking at Ballabourneen Wine Co., and finally tee off at Hunter Valley Golf & Country Club. On your second day here, learn about winemaking at Petersons Wines, then get your game on at Hunter Valley Aqua Golf and Putt Putt, then learn about winemaking at Oakvale Wines, and finally learn about winemaking at Tintilla Estate. To see traveler tips, maps, and more tourist information, read Pokolbin trip itinerary tool . Traveling by car from Katoomba to Pokolbin takes 3.5 hours. Alternatively, you can do a combination of train and taxi; or do a combination of train and bus. In July, daily temperatures in Pokolbin can reach 20°C, while at night they dip to 7°C. Finish your sightseeing early on the 1st (Thu) so you can drive to Port Macquarie. Eschew the tourist crowds and head to Hello Koalas Sculpture Trail and Black Duck Brewery. Get out of town with these interesting Port Macquarie side-trips: Bennetts Head Lookout (in Forster), National Motorcycle Museum (in Nabiac) and Tuncurry Rock Pool (in Tuncurry). And it doesn't end there: take in the waterfront at Harrington Breakwall, take in the architecture and atmosphere at St Thomas Anglican Church, don't miss a visit to Crystalline Pottery, and look for gifts at Silk Trees and Plants Quality Artificial Plants. For other places to visit, where to stay, more things to do, and more tourist information, read our Port Macquarie road trip site . Drive from Pokolbin to Port Macquarie in 3.5 hours. Alternatively, you can take a bus; or take a train. Traveling from Pokolbin in August, expect nights in Port Macquarie to be about the same, around 11°C, while days are slightly colder, around 14°C. Wrap up your sightseeing on the 5th (Mon) to allow time to travel to Yamba. Yamba is a town in northern New South Wales, Australia at the mouth of the Clarence River. Start off your visit on the 5th (Mon): go for a walk through Angourie Walking Track, kick back and relax at Turners Beach, then admire all the interesting features of Cardiff Alpacas, then get great views at Maclean Lookout, and finally explore the galleries of Witzig Gallery. Here are some ideas for day two: get up close to creatures of the deep with a dolphin and whale watching tour, enjoy the sand and surf at Spooky Beach, and then stop by Kitchen To Table Pty Ltd.
To find reviews, maps, where to stay, and more tourist information, you can read our Yamba driving holiday planning site . Traveling by car from Port Macquarie to Yamba takes 3.5 hours. When traveling from Port Macquarie in August, plan for somewhat warmer days and a bit cooler nights in Yamba: temperatures range from 24°C by day to 7°C at night. Wrap up your sightseeing on the 7th (Wed) to allow time to travel to Byron Bay. 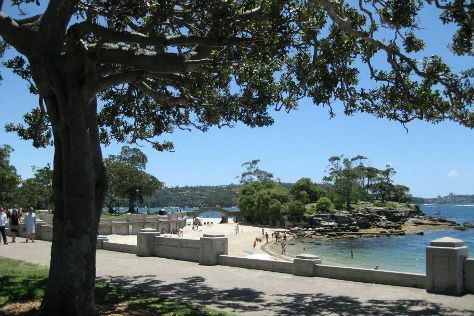 Eschew the tourist crowds and head to Wategos Beach and Hastings Point Headland. On the 8th (Thu), give your taste buds a day to remember with a local gastronomic tour. There's much more to do: contemplate the waterfront views at Lake Ainsworth, get great views at Pat Morton Lookout, take in the exciting artwork at Hammer and Hand Byron Bay Jewellery and Metal Collective, and explore and take pictures at Broken Head Nature Reserve. For reviews, traveler tips, other places to visit, and tourist information, read our Byron Bay trip planner . Drive from Yamba to Byron Bay in 2 hours. In August, plan for daily highs up to 25°C, and evening lows to 8°C. Cap off your sightseeing on the 10th (Sat) early enough to catcht the bus to Gold Coast. Start off your visit on the 10th (Sat): buy something for everyone on your list at Robina Town Shopping Centre, make a trip to Snapper Rocks, then enjoy the sand and surf at Greenmount Beach, and finally explore the striking landscape of Burleigh Head National Park. Find out how to plan Gold Coast trip without stress by asking Inspirock to help create an itinerary. You can take a bus from Byron Bay to Gold Coast in an hour. Another option is to drive. In August, daily temperatures in Gold Coast can reach 25°C, while at night they dip to 11°C. On the 11th (Sun), wrap the sightseeing up by early afternoon so you can drive to Brisbane. Step off the beaten path and head to Bee Gees Way and Distillery Tours. Step out of Brisbane to go to Kallangur and see A2submarine Replica, which is approximately 56 minutes away. And it doesn't end there: admire the masterpieces at Queensland Art Gallery, shop like a local with Queen Street Mall, stroll through Shorncliffe Beach, and get your game on at Psychic Readings Twin Featherz. For ratings and other tourist information, read Brisbane trip itinerary builder tool . You can drive from Gold Coast to Brisbane in an hour. Other options are to take a bus; or take a train. In August, daytime highs in Brisbane are 25°C, while nighttime lows are 11°C. Cap off your sightseeing on the 15th (Thu) early enough to go by car to Noosa. Start off your visit on the 15th (Thu): relax and rejuvenate at some of the top local wellness centers, then stroll through Marcoola Beach, and then kick back and relax at Peregian Beach. On the next day, identify plant and animal life at Point Cartwright, identify plant and animal life at Mount Coolum, and then get great views at Laguna Lookout. Ask Inspirock to suggest an itinerary and make planning a trip to Noosa fast, fun, and easy. You can drive from Brisbane to Noosa in 2 hours. Alternatively, you can take a train; or take a bus. Cap off your sightseeing on the 16th (Fri) early enough to go by car to Hervey Bay. On the 17th (Sat), enjoy the sand and surf at Burrum Heads Beach, then pause for some photo ops at Mary Poppins Statue, and then admire the natural beauty at Queens Park. Here are some ideas for day two: have some family-friendly fun at Hervey Bay Go Kart Track, then don't miss a visit to Australiana Cottage Crafts, then get interesting insight from Susan River Homestead Adventure Resort, and finally have fun at Point Dayman Park. To see maps, where to stay, reviews, and tourist information, refer to the Hervey Bay road trip planning tool . You can drive from Noosa to Hervey Bay in 3 hours. Other options are to take a train; or take a bus. Expect a daytime high around 27°C in August, and nighttime lows around 13°C. Cap off your sightseeing on the 18th (Sun) early enough to travel to Rockhampton. Start off your visit on the 19th (Mon): kick back and relax at Yeppoon Main Beach, then go for a walk through Bluff Point Walking Track, then don't miss a visit to Singing Ship, and finally stroll through Anzac Plaza Emu Park. On your second day here, examine the collection at Archer Park Rail Museum, then explore and take pictures at Nissan Navara Arena, and then stroll through Mt Hay Gemstone Tourist Park. For more things to do, maps, and more tourist information, go to the Rockhampton day trip planning tool . Traveling by train from Hervey Bay to Rockhampton takes 4.5 hours. Alternatively, you can fly; or drive. Expect a daytime high around 30°C in August, and nighttime lows around 13°C. Wrap up your sightseeing by early afternoon on the 21st (Wed) to allow enough time to travel to Mackay. Mackay is a city and its centre suburb in the Mackay Region on the eastern coast of Queensland, Australia. 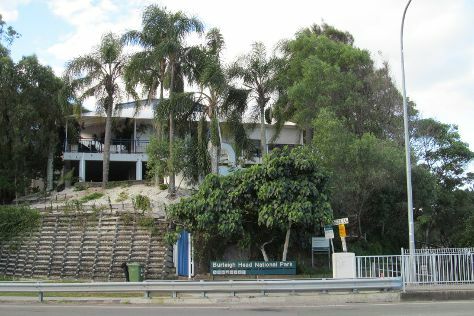 Kick off your visit on the 22nd (Thu): kick back and relax at Smalleys Beach, get great views at Slade Point, and then stroll through Lamberts Lookout. Here are some ideas for day two: take in the exciting artwork at Fredericks Showcase Space, explore the different monuments and memorials at Mackay General Cemetery, stroll through Town Beach, then see the interesting displays at Melba House, and finally contemplate the waterfront views at Pioneer River. For other places to visit, reviews, where to stay, and other tourist information, you can read our Mackay trip itinerary planning tool . You can drive from Rockhampton to Mackay in 4 hours. In August, daily temperatures in Mackay can reach 28°C, while at night they dip to 16°C. On the 24th (Sat), wrap the sightseeing up by early afternoon so you can travel to Airlie Beach. Start off your visit on the 24th (Sat): go for a walk through Coral Beach and the Beak, Conway National Park. Here are some ideas for day two: let the kids burn off some steam at Bowen Water Park Playground, tour the pleasant surroundings at Grays Bay, and then make a trip to Horseshoe Bay Rotary Lookout. For where to stay, other places to visit, and other tourist information, read our Airlie Beach itinerary maker site . You can drive from Mackay to Airlie Beach in 2 hours. Plan for somewhat warmer nights when traveling from Mackay in August since evenings lows in Airlie Beach dip to 21°C. Finish your sightseeing early on the 27th (Tue) so you can ride a ferry to Hamilton Island. On the 27th (Tue), head outdoors with Jetryder, get your game on at Sports Club, then take in the exciting artwork at Hamilton Island Art Gallery, and finally explore and take pictures at Go-Kart Racing Track. On the 28th (Wed), you'll have a packed day of sightseeing: make a trip to Passage Peak and then enjoy the sand and surf at Catseye Beach. To see where to stay, other places to visit, photos, and other tourist information, use the Hamilton Island trip planning website . You can ride a ferry from Airlie Beach to Hamilton Island in an hour. In August, daytime highs in Hamilton Island are 26°C, while nighttime lows are 21°C. Wrap up your sightseeing on the 29th (Thu) to allow time to travel to Daydream Island. Kick off your visit on the 29th (Thu): look for all kinds of wild species at Daydream Island Living Reef. To see reviews, traveler tips, ratings, and tourist information, read Daydream Island online trip itinerary planner . Explore your travel options from Hamilton Island to Daydream Island with the Route module. August in Daydream Island sees daily highs of 26°C and lows of 21°C at night. You will leave for Townsville on the 30th (Fri). Start off your visit on the 31st (Sat): look for all kinds of wild species at Little Crystal Creek. For more things to do, traveler tips, where to stay, and tourist information, read our Townsville trip itinerary builder website . Explore your travel options from Daydream Island to Townsville with the Route module. Expect somewhat warmer weather when traveling from Daydream Island in August: highs in Townsville hover around 30°C, while lows dip to 17°C. Finish your sightseeing early on the 31st (Sat) to allow enough time to travel to Cairns. Start off your visit on the 1st (Sun): hunt for treasures at Rusty's Market, enjoy the sand and surf at Yorkeys Knob Beach, then learn about all things military at The Australian Armour & Artillery Museum, and finally take in the architecture and atmosphere at St Monica's Cathedral. To see traveler tips, reviews, other places to visit, and other tourist information, go to the Cairns tour builder website . Traveling by flight from Townsville to Cairns takes 3.5 hours. Alternatively, you can drive; or take a bus. In August, daytime highs in Cairns are 31°C, while nighttime lows are 20°C. Wrap up your sightseeing by early afternoon on the 2nd (Mon) to allow enough time to travel back home.